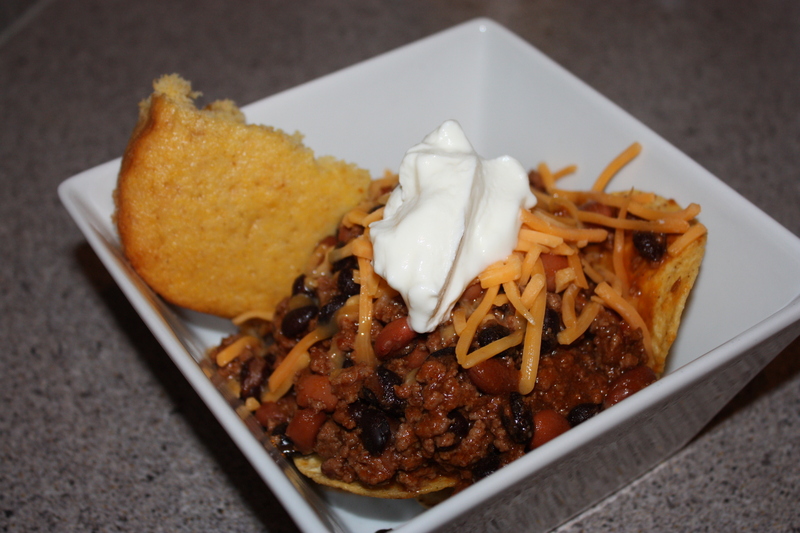 7 months into living down south and i’ve mastered the art of chili and cornbread. WOOHOO!! i got so excited to make this home made. Cornbread in the next post. 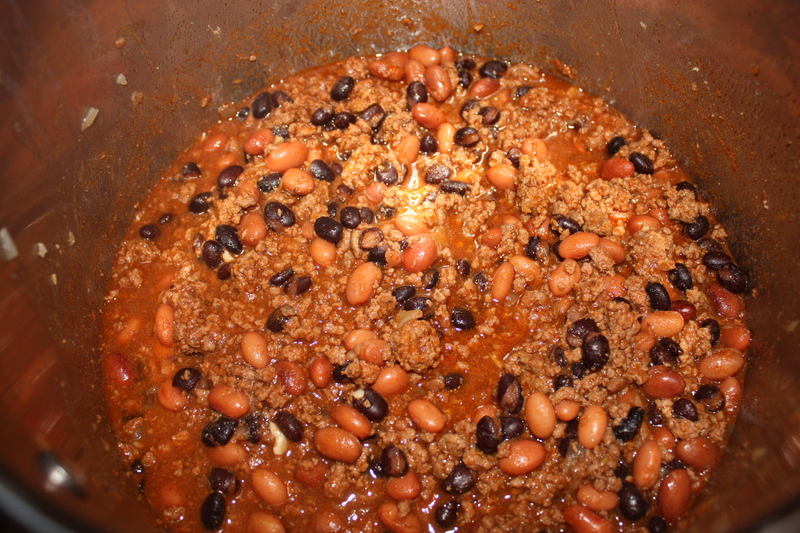 I made my Chili myself and thought of the recipe myself too. 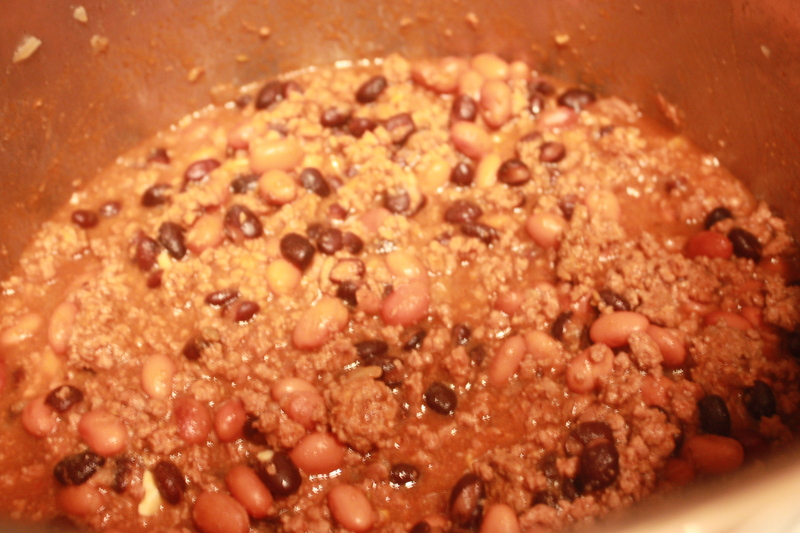 I’m really proud of myself for being able to make such GREAT chili my first time =) please try it! 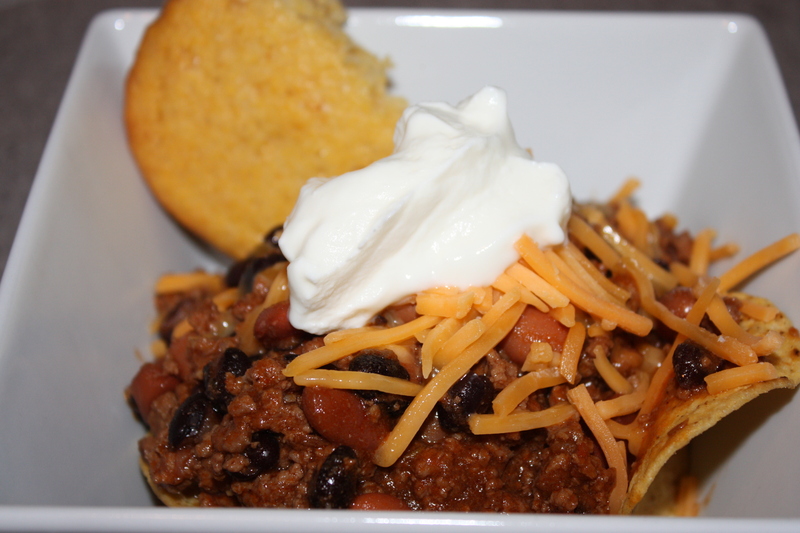 both the chili and cornbread are SO good. 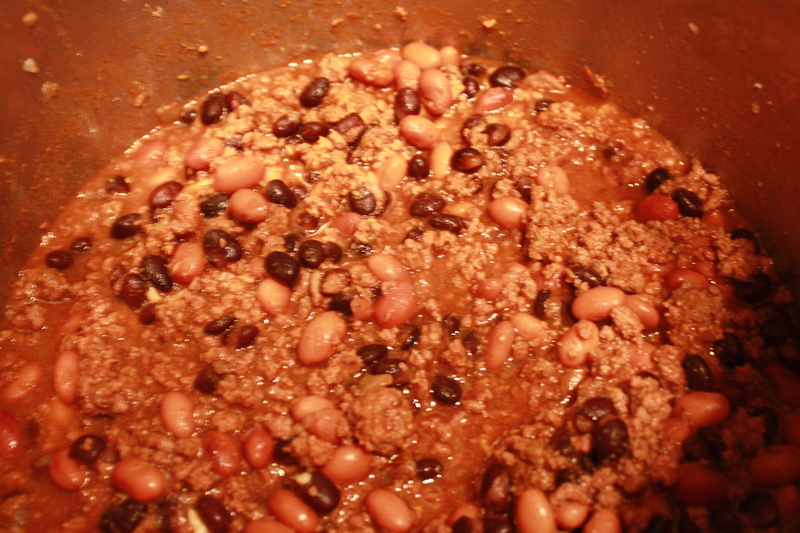 The base of my chili for serving was lined with tortilla chips for dipping. Shredded cheddar cheese, Sour cream, Tortilla Chips, for fixins! In a stock pot (I didnt have a crockpot! 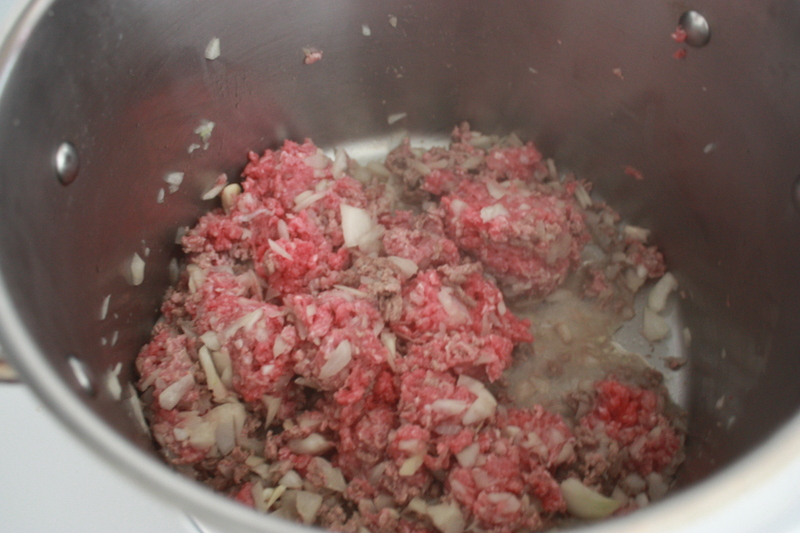 ), place the beef in and throw the garlic and onion in with it. Brown the beef with the chopped onion and garlic. Remove excess fat fluid from the pot after browning. 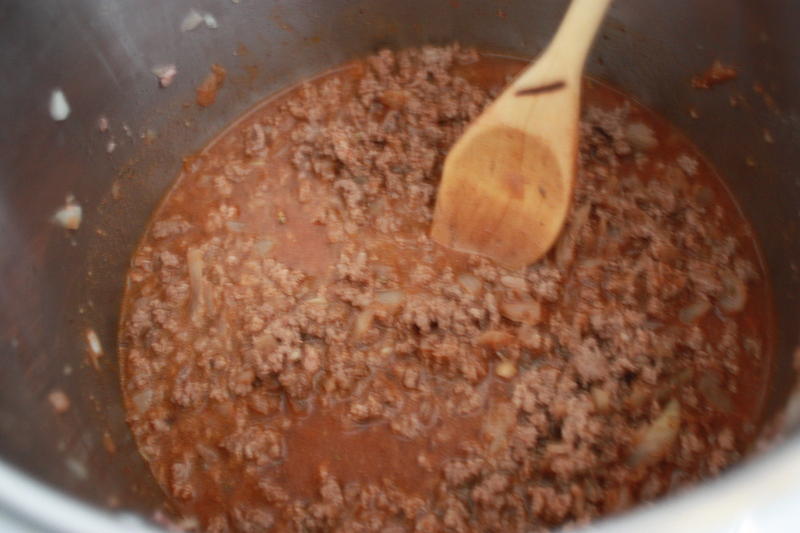 Pour in the tomato sauce, 1 cup beef broth, spices, and salt. Stir everything together well and then cover. 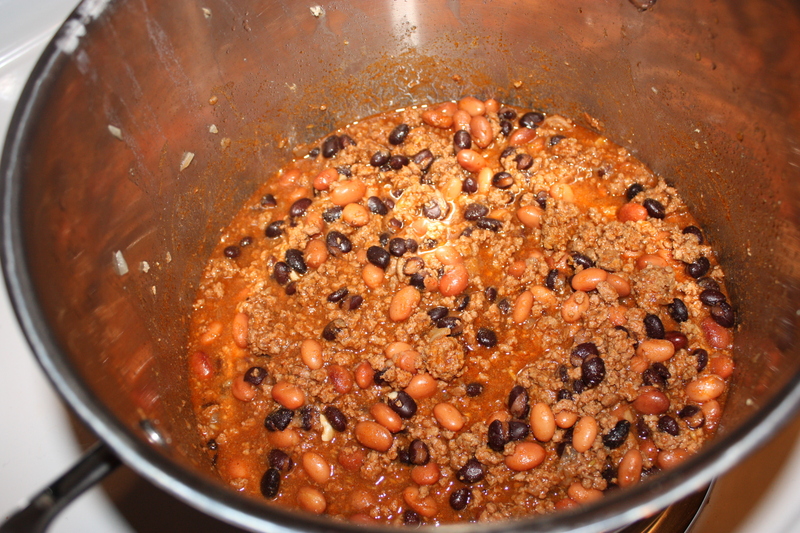 Reduce the heat to low and let the pot simmer for 1 hour, stirring every so often. 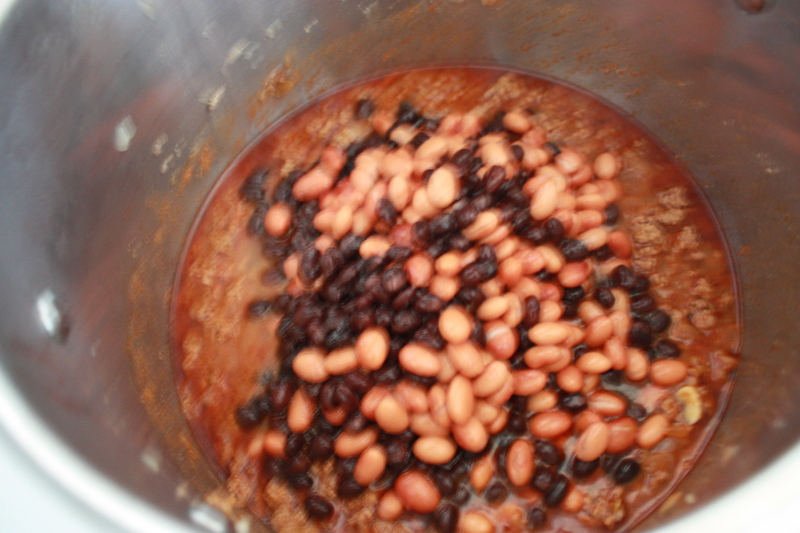 After 1 hour, add the beans and pepper flakes, and taste the chili. Add salt if need be. Let simmer for another 2 hours. and ENJOY this southern delight! 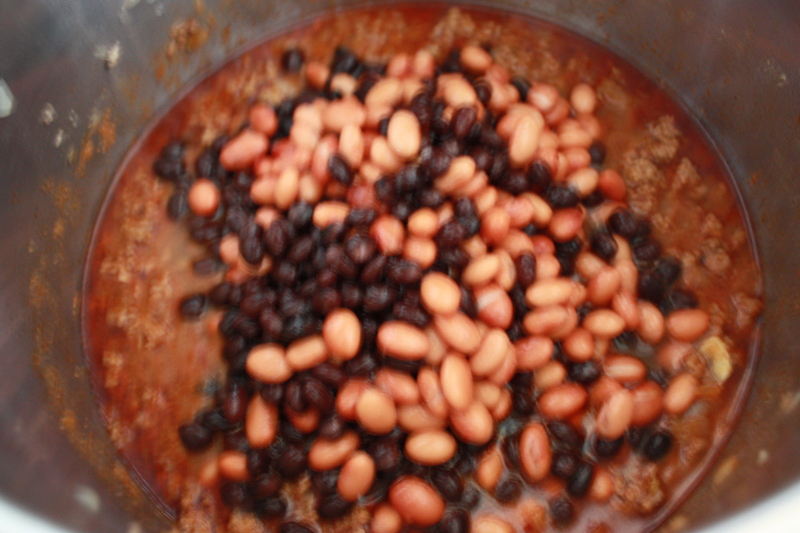 If you dont have all this time, the chili will still be good if you even added the beans in the beginning. The more time simmering, the better!) Adding the beans after an hour was to get the inital flavoring as a base, and then adding the beans to complete the “chiliness” haha. 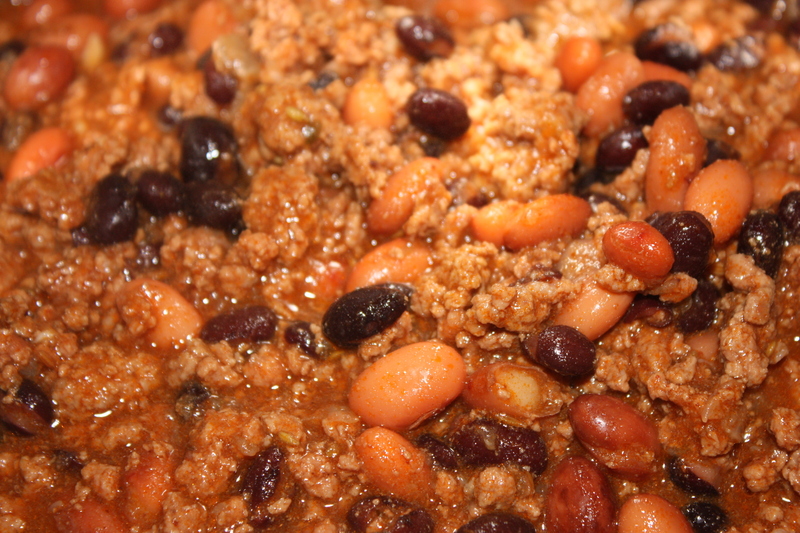 You can freeze chili too! Just add water to warm it up later. 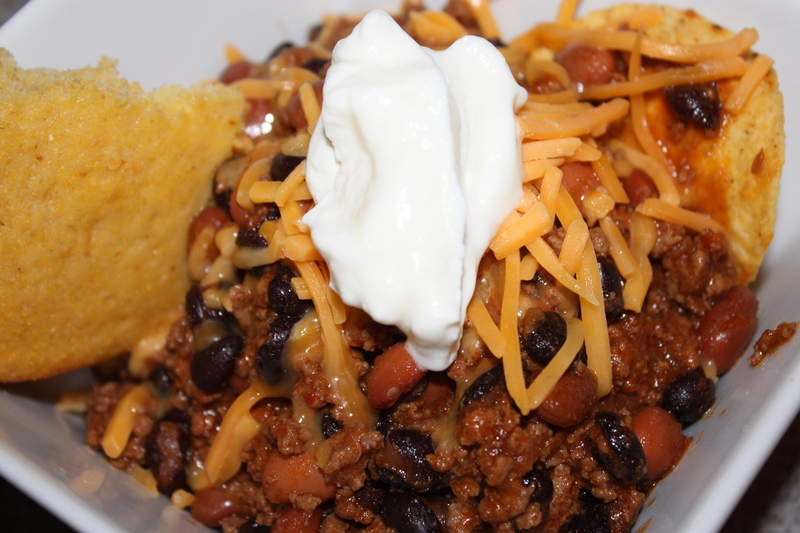 Next post – “The Bob” Cornbread! !